If you want to see English page, please click "English" Button at Left. Latest stable version is 3.3.x. 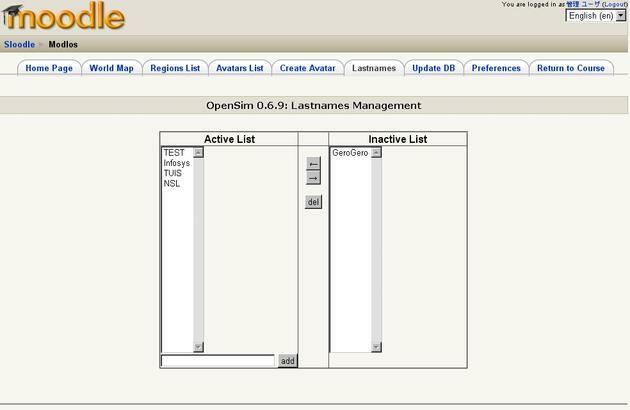 Supported OpenSim's mode is Grid mode, StandAlone mode of 0.6.x is not supported. Based on opensimwi redux 0.32．Currency, landtool and helper functionality works without any additional configuration. Offline Message and Mute List are supported. Includes flotsam group function , can use group functionality without any additional configuration. World map works for multiple regions. Position is not currently reset when you zoom. 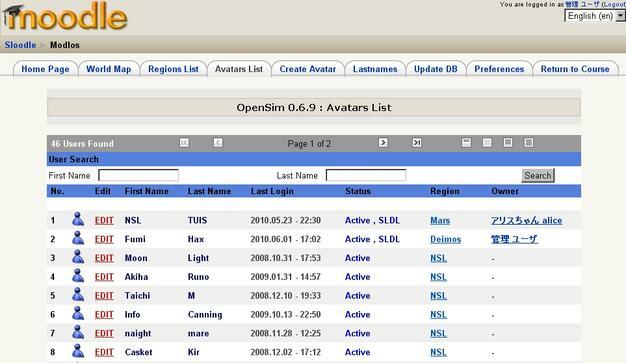 Avatar list shows logged in avatars and which SIM they are in. It is possible to change Region Owner and Voice Chat Mode (need to reboot of SIM). Migration of the DB from 0.6.9-> 0.7.x is supported. 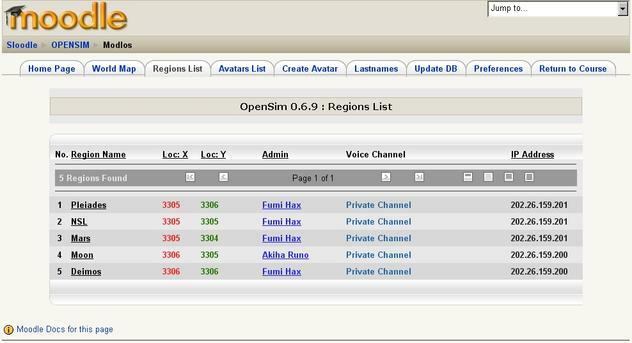 Auto synchronization with OpenSim DB and Sloodle DB. 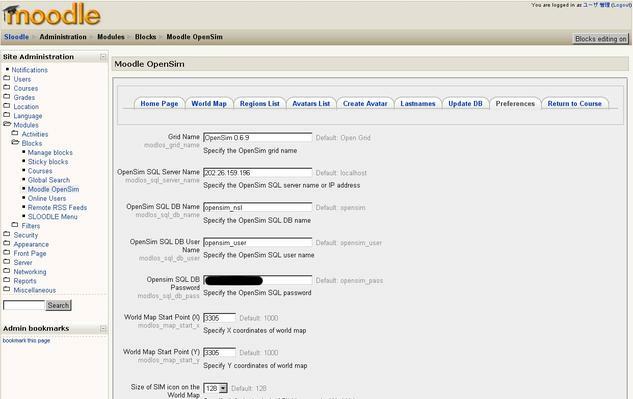 Modlos is sister application of XoopenSim. If you can not show World Map icon at 0.7.0, this is OpenSim's bug. Please see here. Please execute ./update command in xoopensim directory, then below modules are downloaded by automatic. This Software's License conforms to Sloodle's License. This software is not guaranteed at all. The author makes no representations regarding the fitness of this software and does not assume responsibility for any problems that may occur with the use, remodeling, or re-distribution of this software under any circumstances. Use is entirely at your own risk. Includes flotsam group function as helper functions. osprofile (profile function) is used. Sloodle is Simulation Linked Object Oriented Dynamic Learning Environment.